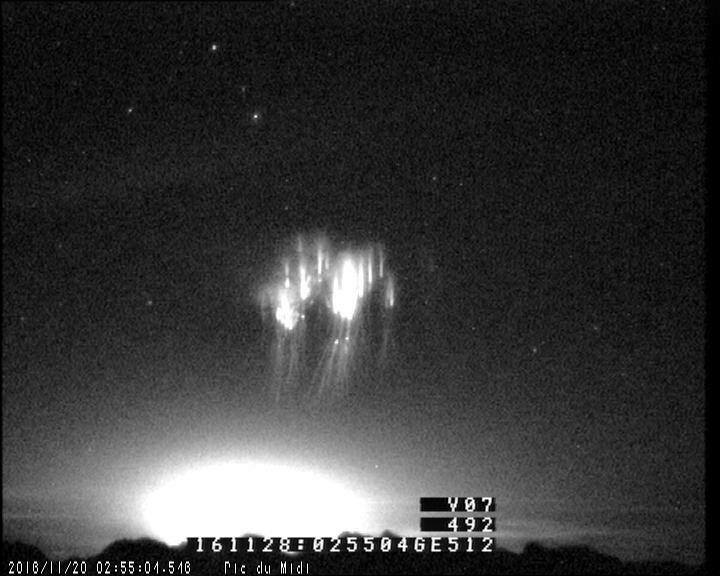 In the last 10 days, an enhanced sprite activety is reported in the sky from Spain due to strong lightning storms. Thunderstorms are ferocious natural phenomena. Crackles of lightning and booms of thunder reign over the surface of the Earth. 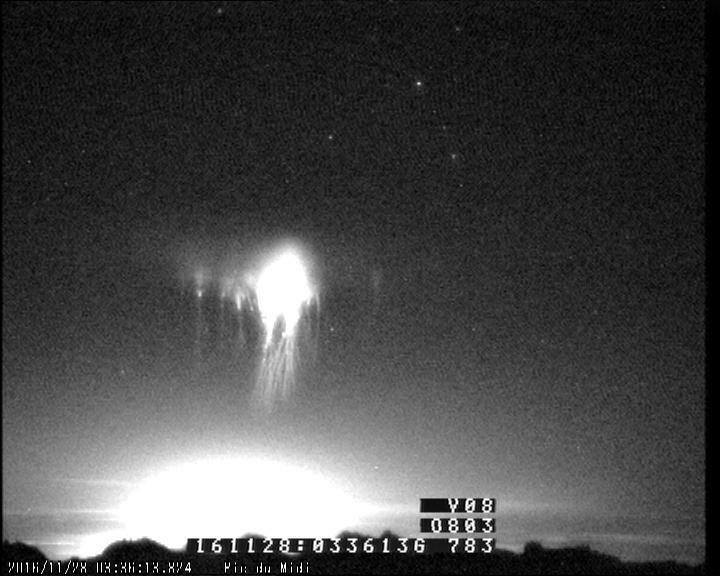 However, something else occasionally floats ethereally above the storm clouds: a short-lived sprite. 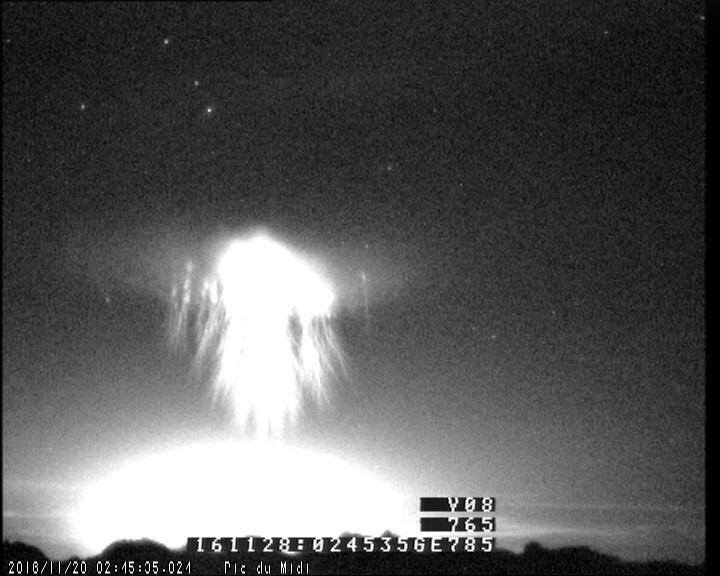 A sprite is a weak flash of light that appears above a thunderstorm. They are usually red, with wispy red or purple tendrils that extend downwards toward the storm cloud. Their red color is thought to be from electrons in the vicinity being suddenly accelerated from the electrical charge from the storm. 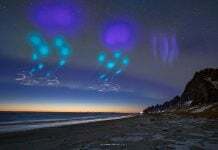 As the electrons whizz around, they collide with nitrogen molecules in the air and ionize them. This process produces red light. 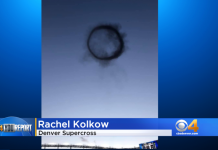 The tendrils’ purple color, on the other hand, is postulated to be caused by cosmic rays being accelerated by the electric discharges produced by the lightning storm, however, this is only a theory. But what causes the sprites themselves? 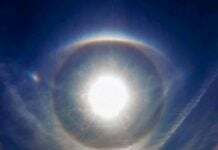 Scientists theorized that gravity waves create small perturbations in the atmosphere. 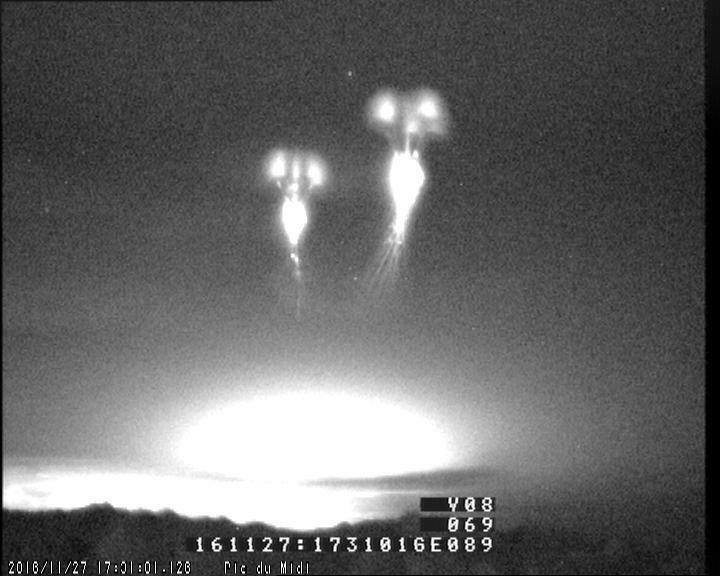 These little disturbances can grow the electric field produced by lightning, initiating a sprite. 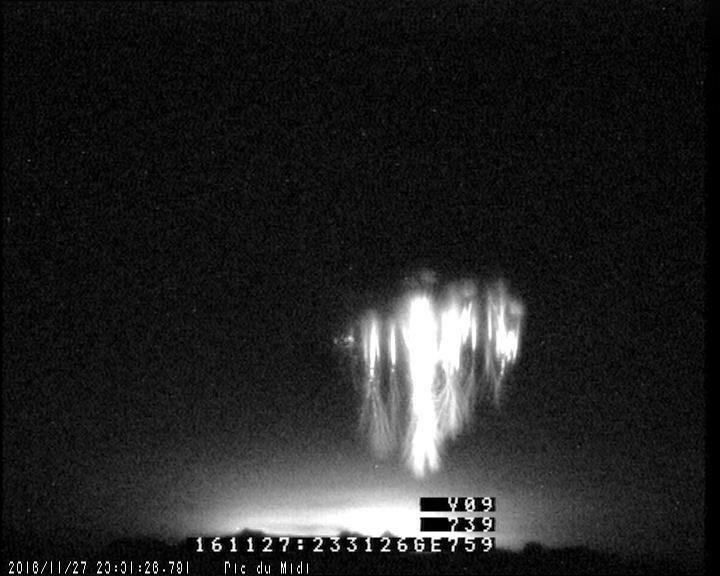 But nobody is sure how these strange upward lightnings actually form.